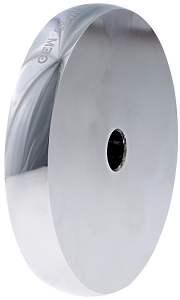 Gem Gravure has recently made upgrades to our chrome-plated gravure printing wheels which are designed for printing on insulated wire, cable, hose, tubing, and extruded profiles. Gem now offers a side-mark on our wheels that enable our clients to add their internal part number to a wheel for easy transitions from one production job to the next. Gem also recently added a second layer of chrome plating to all our print wheels to boost performance, durability, and functionality and to increase the lifespan of the wheel. So, for the same great price, our wheels are now available with twice the chrome. "Gem Gravure has specialized in wheel printing from the very inception of our company, and it's great to see that this essential part of our business is strong and continuing to grow. We are committed to our customers and to providing them with the highest quality products and services to meet all of their marking and coding needs. We take great pride in our traditional wheel printers and print wheels, and are constantly striving to improve our products to better serve our customers." Our print wheels help you to meet any wire identification needs with superior print quality, and provide repetitive codes for marking. 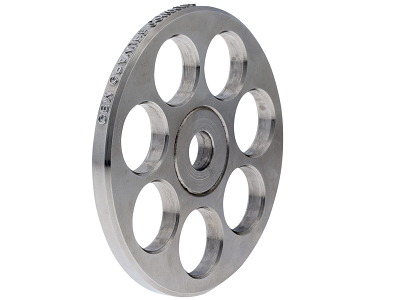 Convex wheels are perfect for printing on soft product like tubing or hose, without leaving wheel edge marks. Embossed wheels provide a raised legend above the wire jacket to create raised wire lettering. Flat and concave wheels are available in different sizes. 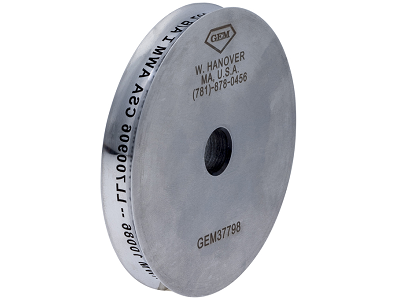 Indent marking wheels make an imprinted legend on a wire or core. The wheel's raised lettering create indented legends on a wire's surface. Receive useful information on product identification from the experts. Your information will not be shared.